This past weekend I tried paper piecing for the first time. Ever since I started sewing I had been intrigued by paper piecing. I admire so much the beautiful and intricate designs that people are able to create using the method, but I had been so intimidated to try it..; Well this Sunday it all changed. Diane @ From Blank Pages was so kind to send me a pattern she designed to test. The pattern is called Illusion. I couldn't be more surprised at how easy it all came together to create this beautiful block. I think Diane is a very talented pattern designer. The instructions on the pattern were so clear and easy to understand and it even came with instructions and templates on how to cut the fabric including seam allowance! I thought that was perfect, specially for a newbie like me. 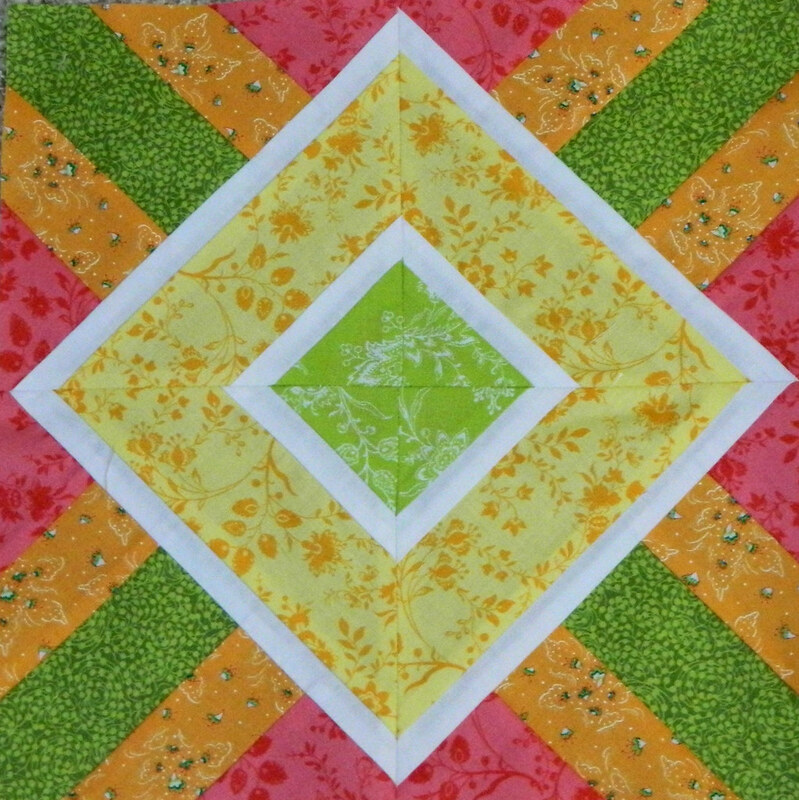 Of course, I couldn't had done it without first reading Diane's Paper Piecing Tutorial. Now the question is: what to do with my beautiful block? Any suggestions.